Η Opel ανακοίνωσε πως το MY2014 Ampera πλέον θα πωλείται κατά 7.600 ευρώ λιγότερα, αφού ξεκινά από τις €38.300. Το Ampera MY2014 δεν διαθέτει απολύτως καμία αλλαγή προσφέροντας ηλεκτρική αυτονομία 80 χλμ και συνολική αυτονομία 500 χλμ. Η ανακοίνωση έγινε στο περιθώριο του “Future Summit” στη Γερμανία, εκεί όπου η Opel παρουσίασε και το Opel Monza Concept, με τον CEO της εταιρίας Dr. Karl-Thomas Neumann να τραβά το σεντόνι και να λέει για ακόμη μια φορά πως το πρωτότυπο μας δείχνει τη μελλοντική σχεδιαστική ταυτότητα των μοντέλων της Opel. Rüsselsheim. The Opel Ampera is unique. No other European electric car can transport four people up to 80 kilometers on pure electric power and more than 500 kilometers in bi-fuel operation without making a stop to re-charge. 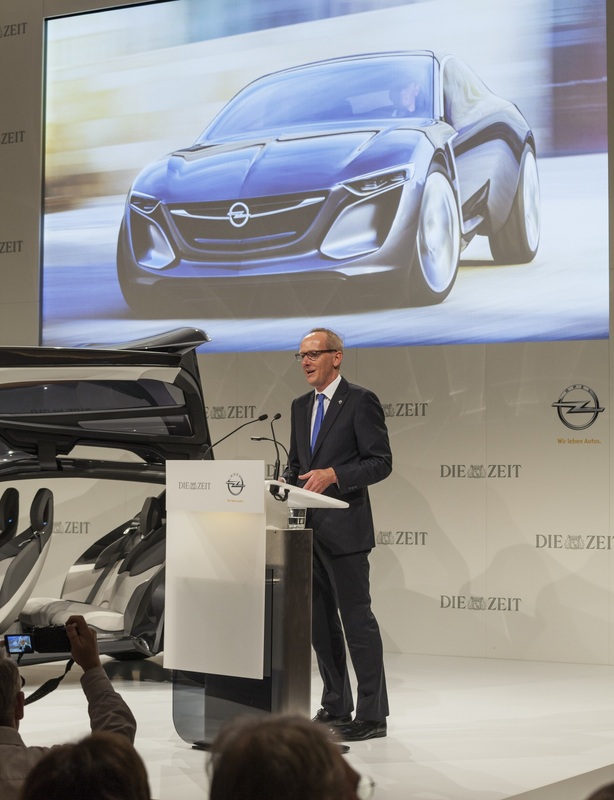 In the framework of the model offensive that is now in full swing, Opel is making another clear statement and investing in the future of electric mobility. The German automaker is significantly reducing the Ampera’s purchase price in selected markets – as a boost for this environmentally friendly type of mobility that is still not widespread enough. 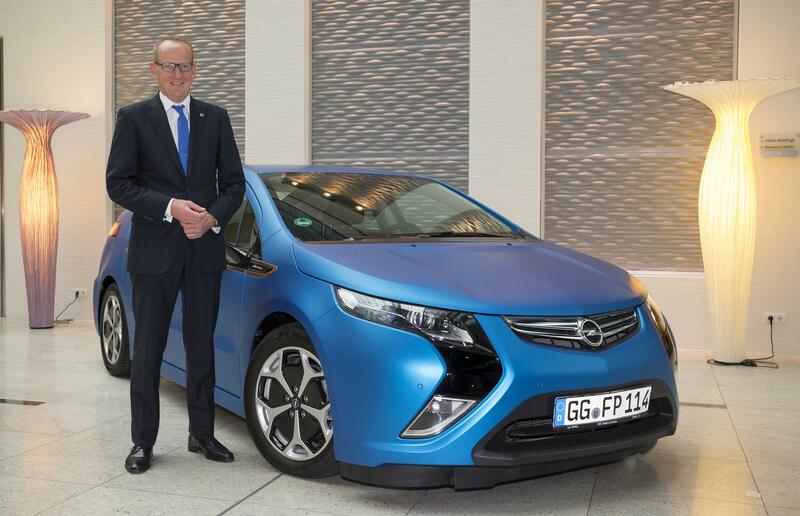 In Germany the innovation leader Opel Ampera is now available from just 38,300 euros, a substantial reduction of 7,600 euros. 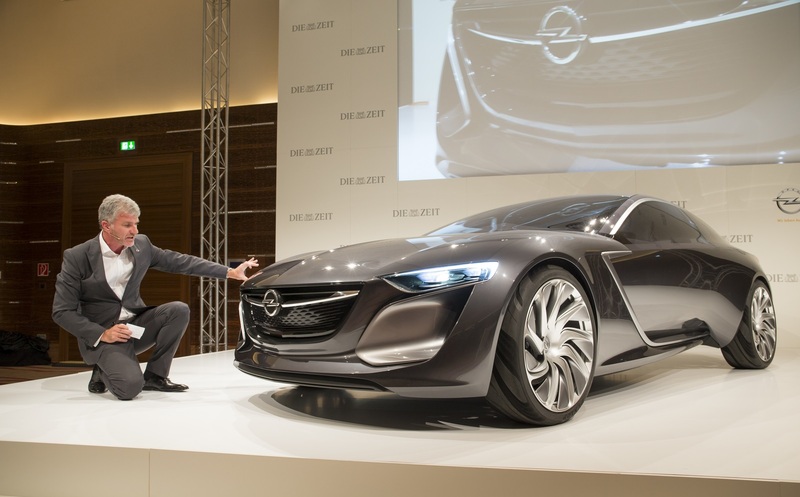 Opel is one of the pioneers in trendsetting electric mobility. 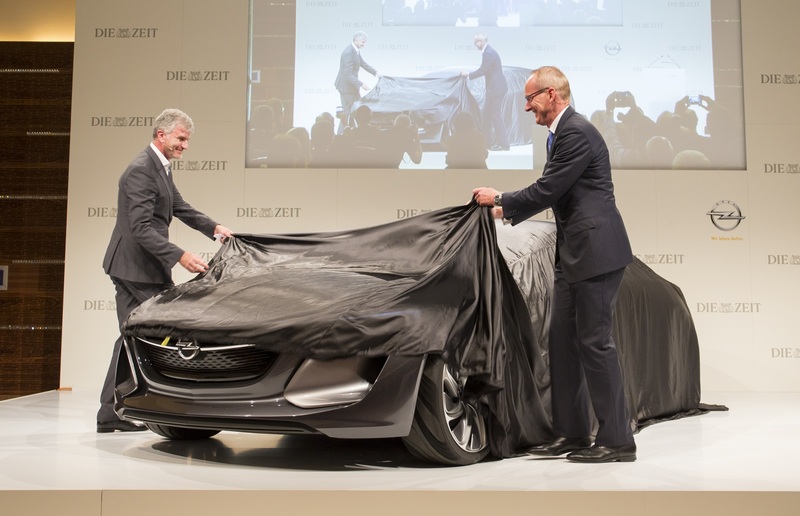 Since its market launch at the beginning of 2012, Opel has made significant progress with its first electric car. By streamlining series production processes, leveraging savings in components purchasing and maintaining an unwavering commitment to making electric mobility affordable for everyone, Opel is now able to considerably reduce the Ampera’s price. 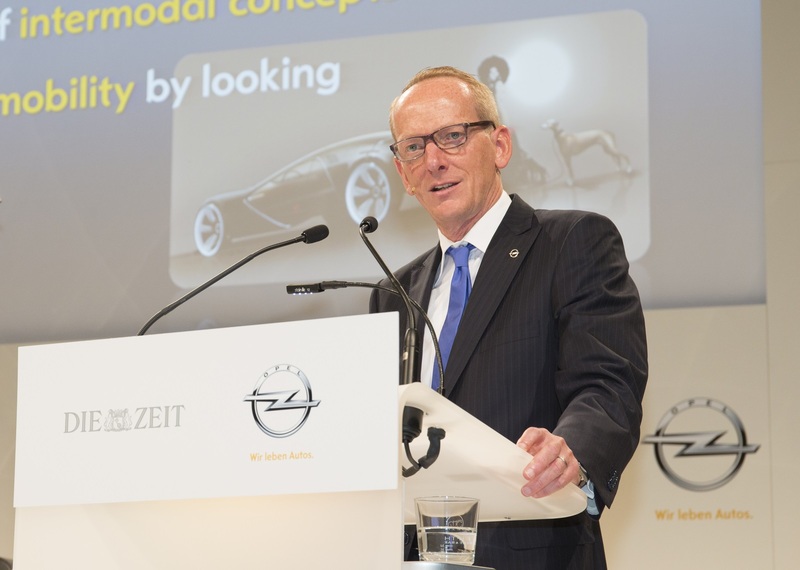 In doing so, the automaker strengthens a new, trendsetting technology – for the general benefit of the customers and much to the delight of the Opel CEO. 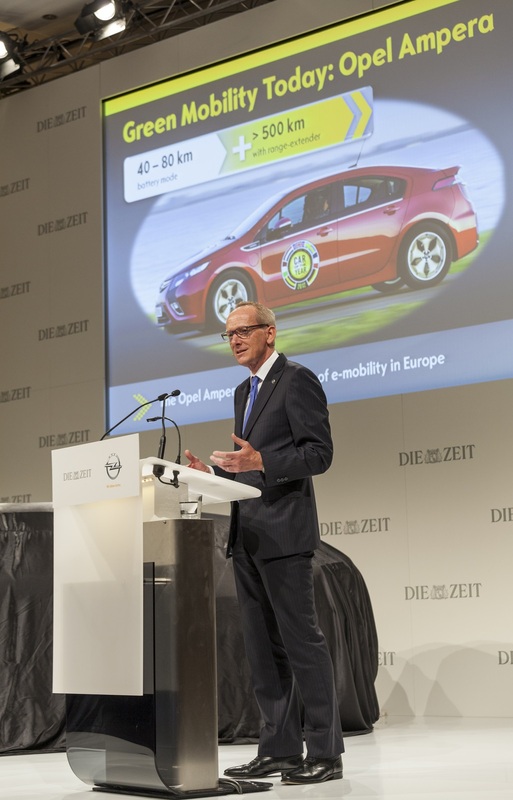 Dr. Karl-Thomas Neumann: “The Opel Ampera was the first electric car on the market from a European manufacturer. With our new pricing, we show our straightforwardness and continue to pursue our strategy for sustainable mobility. 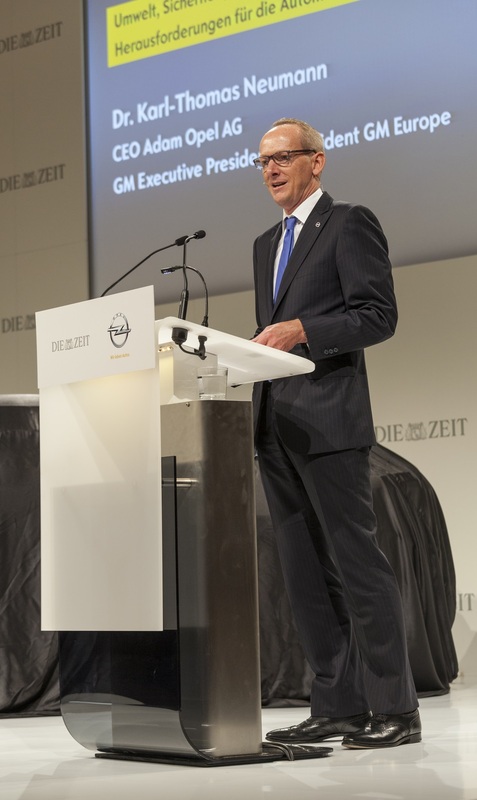 We at Opel remain committed to investing in electric propulsion and believe in an emission-free automotive future – not in the future, but today.” The Opel CEO announced this good news today at the ZEIT Congress in Frankfurt, a conference for experts on the subject of mobility of the future. The Opel Ampera is a fully-fledged, four-seat sedan which can cover up to 80 kilometers on pure electric power, meaning completely emission-free in urban areas. When the 16-kWh lithium battery is charged with electricity from renewable sources, its environmental footprint is impeccable. And when the on-board range extender – a 1.4-liter gasoline engine – is used, the Opel Ampera can cover distances up to 500 kilometers without stopping for a battery re-charge. Rüsselsheim/Frankfurt. 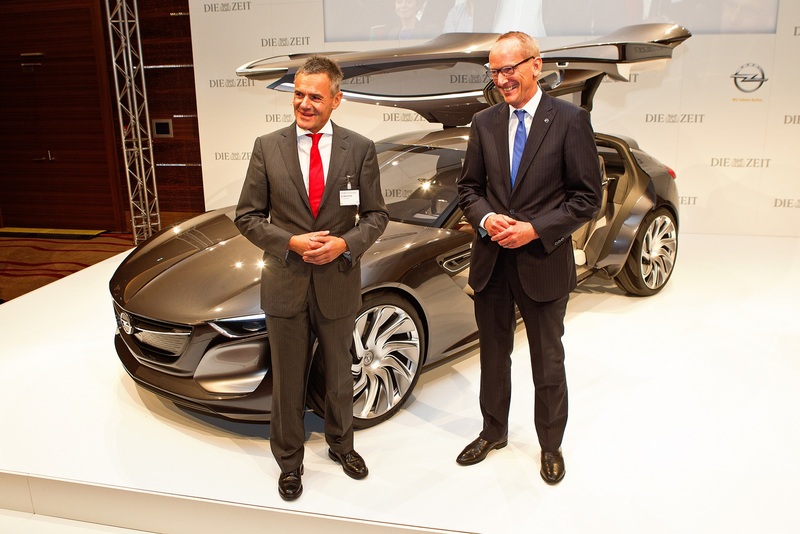 Prior to the 65th International Motor Show in Frankfurt, manufacturers, politicians, scientists and association representatives gathered for the “Future Summit” hosted by the Zeit, a leading German weekly newspaper. 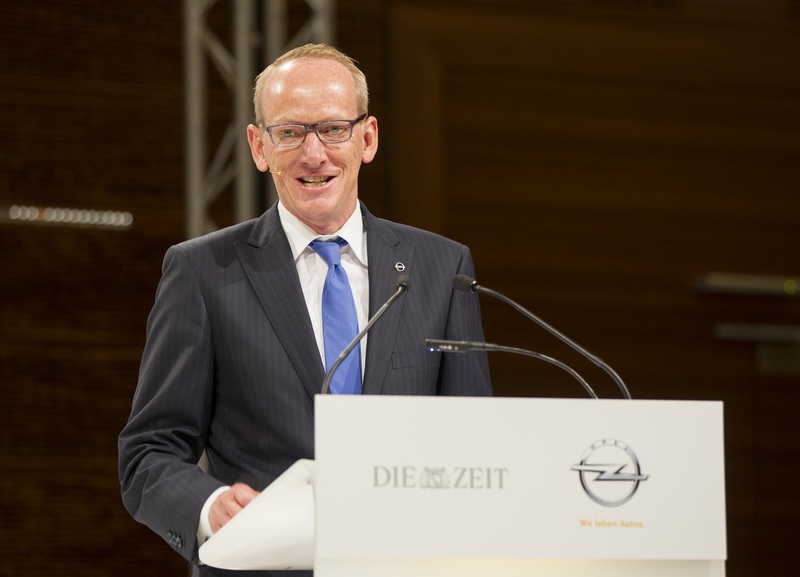 The keynote speaker at “The Squaire” at the Frankfurt Rhein-Main Airport was Dr. Karl-Thomas Neumann, CEO of Adam Opel AG. During the presentation with GME Vice President Design Mark Adams, the Monza Concept impressed with its light, athletic look, unique 3D projection technology in the interior together with user-defined connectivity possibilities and its modular design that enables the fitting of sustainable propulsion systems ranging all the way to fuel cell solutions. 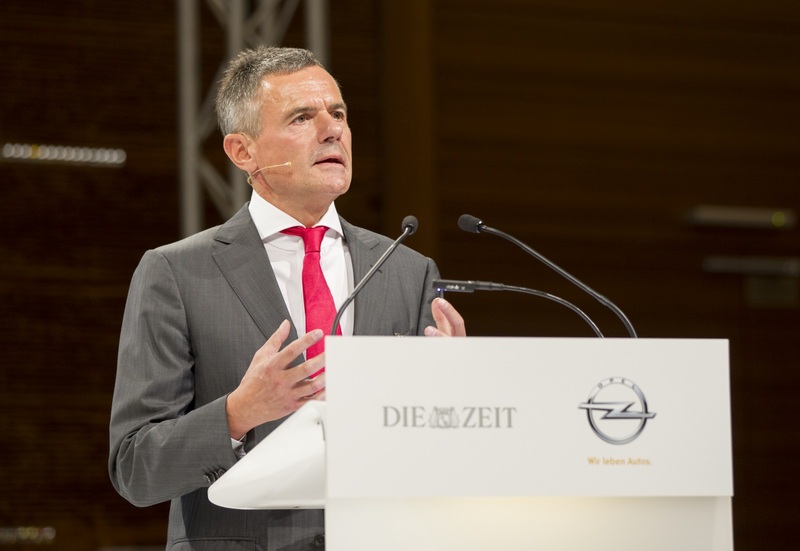 Under the direction of Dr. Rainer Esser, Managing Director of the ZEIT Publishing Group, the congress also addressed industry policy topics with presentations by Matthias Wissmann (President of the German Association of the Automotive Industry) and Günther Oettinger (EU Commissioner for Energy).